Second-year coach Mike Hopkins has led the Huskies (12-4, 3-0 Pac-12) to five straight wins, which ties the longest winning streak since he took over. 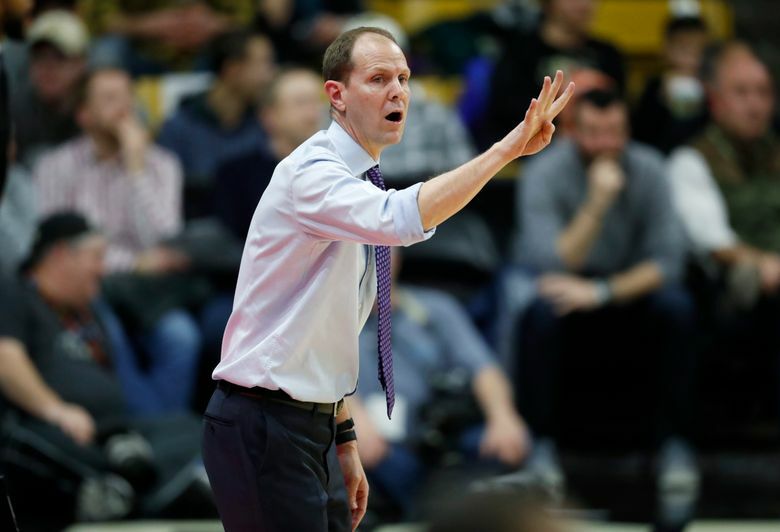 BOULDER, Colo. – Washington held off Colorado for a 77-70 win and its fifth straight victory Saturday night, which gave the Huskies their first Pac-12 road sweep in six years. UW (12-4, 3-0 Pac-12) raced out to a 12-0 lead and never trailed in a game for only the second time this season. You’ve got to go back two seasons to his sophomore season to remember when Crisp has had a hot streak like the one he’s currently riding. In the past three games, the 6-foot senior point guard has connected on 12 of 18 three-pointers. At Colorado, Crisp hit 4 of 5 from behind the arc in the first half. His only miss was a hurried, off-balance jumper he hoisted to avoid a shot-clock violation. Crisp, who finished with 16 points, attempted just two shots in the second half and missed both. In 35 minutes, he also had an assist, a steal and a turnover. But Crisp’s biggest contribution may be his leadership. He’s the vocal leader of a veteran team that includes four seniors who hope to end their careers with their first trip to the NCAA tournament. In the first half, Colorado doubled Nowell on screens and made him pass the ball. The Buffaloes didn’t want the ball in his hands and he burned them with four assists in the first half. “So at halftime we decided not to double him and he goes off for 15 (points) in the second half,” Buffs coach Tad Boyle said. After an abysmal 3-for-14 shooting display Thursday, Nowell didn’t press. He let the game come to him and delivered in the final minutes when other UW players struggled to score. Nowell routinely dribbled into the lane where he either converted difficult jumpers in traffic or drew a foul. The 19-point performance nearly overshadowed what might have been Nowell’s best defensive outing. He was active within the 2-3 zone and collected a season-high four steals to go along with four rebounds. Who is good in the Pac-12? I’ll let you have three picks to win the Pac-12, if you give me the field and I would feel good about my chances. This was supposed to be a rebuilding year, but Arizona (13-4, 4-0) has a ½-game lead in the conference standings over Washington. The Huskies are tied for second place with UCLA (10-6, 3-0), which plays at Oregon State (10-4, 2-0) on Sunday. At least three teams will finish the second week of Pac-12 play unbeaten in the league, but it’s far-fetched to say they’re separating from the rest of the conference. The Huskies are playing well, but two of their league wins have been against teams that didn’t have their best player. UW beat Washington State last week without leading scorer Robert Franks (hip) and Colorado lost McKinley Wright IV midway through the first half due to a shoulder injury on Saturday. And Washington will have a chance to remain unblemished in league play when it hosts Stanford (8-8, 1-3), which is 1-3 in its past four games, and league cellar-dweller California (5-11, 0-4) next week.